Medela’s Reusable Collection System consists of multiple components and accessories. It is easy to use, easy to set up and hygienic. It provides simple, fast operation, is long-lasting and safe by design. Tubing can be quickly connected thanks to the system's distinct vacuum and patient ports. The quick-to-connect components make the system ready to use in just seconds. Easy to use and virtually indestructable. 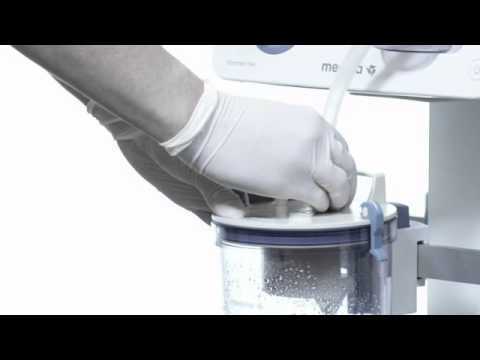 The Medela Reusable Collection System consists of autoclavable suction canisters and lids with built-in overflow protection. All four jar sizes (1, 2, 3 and 5l. ) have the same lid size to make handling easy and reduce logistical considerations. The system is meant for flexible use: choose between the complete system or specific components and accessories; Medela can help you select the products that are right for you. Canisters made of high-grade, unbreakable 1 poysulfone. Reprocessable up to 500 times 1. The RCS can be easily connected to Medela's hospital suction pumps or wall vacuum systems. Polysulfone canisters are suitable for all normal disinfection and sterilization processes. Easy-to-read graduated markings indicate fluid volume visible at a glance.